Railroad ties as a material for landscaping became popular as an inexpensive way to recycle used crossties. 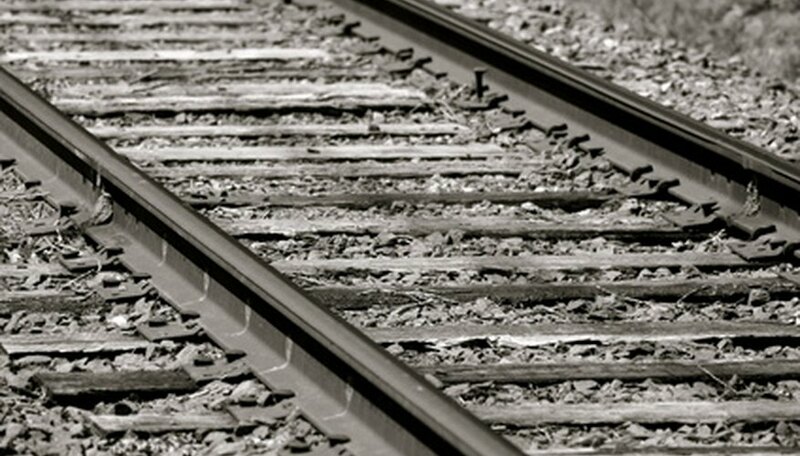 Many of the first people to use railroad crossties did so by picking up used ties from the sides of railroads. Today railroad companies are careful to pick up their ties so that they can resell them. While railroad ties may cost as much as building materials such as brick or stone, amateur landscapers using the ties do not need as much skill to incorporate railroad ties into their landscaping. Measure the dimensions of your project to determine how many railroad ties you will need. For example, if you are using railroad ties as steps or a terrace into a hillside, measure the rise and run of the hillside and divide this by how many steps you want to build to figure out the size of each step. From the step size, you will know how many railroad ties you will need for each step. For a retaining wall, figure out the length and height of the wall. Always add an extra 15 percent to the number of ties you are buying to account for human error. Locate companies in your area that reclaim railroad ties. Or call your local rail yard to ask for the name of the building contractor that it uses. Many rail yards contract to have the ties removed. The building contractor who removes the ties will often resell them to landscaping companies. Contact your local landscaping supply or home store to find out whether they carry railroad ties. Examine railroad ties before purchasing them to ensure that they aren’t infested with bugs such as termites or fire ants that can become established in your landscape and pose a threat to your home or family. Purchase only aged ties that have very little creosote on them. Creosote is a black, sticky substance (pitch oil) that is used as a preservative in landscaping ties. The creosote can run into the soil and harm plants growing nearby. Older ties have less creosote in them.